24th September 1920 - ?? Born in Copenhagen, Holger was the son of Ove Andreas Christensen and Australian born Maggie Evelyn Martyn Wipan. By early 1945 Holger is listed as Chief Mate on the United States lines Company ship Sea Tiger. Holger arrived in Australia on board the SS Marella and settled in Watsons Bay, Sydney with his mother in 1948. The last known record of Holger is as a ships officer on board the 20,565 ton Nederland Line MS oranje departing Southampton UK on 7th September 1959 bound for Sydney, NSW. The MS oranje was the regular Amsterdam to Sydney passenger service, sailing via Southampton, England. Mentioned in Despatches "For skilful and courageous services which enabled a party to make a daring escape from Hongkong"
Holger was employed by Jardine Matheson & Co, appointed to the SS Yat Shing with the rank of Cadet. Upon the outbreak of hostilities the Yat Shing was scuttled, later salvaged by the Japanese and renamed Knish Mar. Choler was drafted into the Hong Kong Dockyard Defence Corps, HKDDC, under the auspices of the Royal Navy. On 25 Dec he volunteered to man the motorboat of HMS Cornflower (II), which took Admiral Chan Chak's party down Aberdeen Channel. Soon they came under heavy machine-gun fire and abandoned the launch. 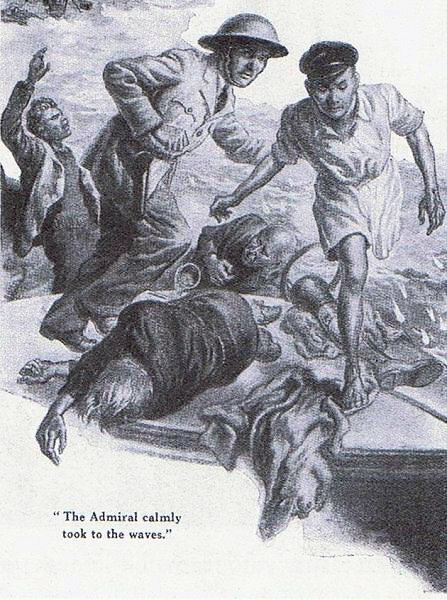 He was one of the eleven survivors who reached Aberdeen Island by swimming under heavy fire. While some attempted to climb up from the rocky coast Holger scrambled over the rocks in and out of the water after hearing the roar of powerful boats on the other side. On reaching the tombolo ajaoining Aberdeen Island with Ap Lei Chau he spotted three MTBs, one at anchor and two going out to sea. After hailing the craft he swam out to it. He along with the remainder of the Cornflower party who had survived the shooting made good their escape under cover of darkness in the MTB's making landfall at NanAo on the Dapeng Peninsula in Mirs Bay deep behind enemy lines in mainland China.His prompt action in swimming off to the MTB's did much to ensure the escape of his companions. Commander H M Montague R. N. (Retd) "I consider Mr Christensen to be a young gentleman of outstanding courage and would recommend he be granted a commission in the Royal Naval Volunteer Reserve." The 2nd MTB Flotilla which extracted the Aberdeen Island escape party under cover of darkness had taken a beating during the battle for Hong Kong. When the Japanese started to invade Hong Kong Island, the 2nd MTB Flotilla was ordered to attack and shoot up everything in sight, and to expend all ammunition in the process. Unbeknown to the flotilla, the Japanese had already established a beach head on the Island west of the Sugar Refinery at North Point. 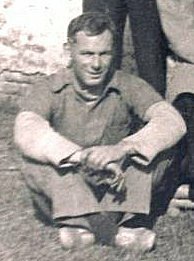 Lt Ronnie Ashby whose motto was "Be Just and Fear Naught" led the flotilla in MTB 07, pressing home the attack under withering fire from land, sea, and air, suffering heavy losses in the process. Only three MTB's survived to limp back to base in Aberdeen. Lt Kennedy on MTB "09" towed the stricken "07" back to base.The attack was arguably the most daring daylight MTB attack of all time, and was referred to as “The Balaclava of the Sea.” by Coastal Forces world wide. They were hailed "The bravest of the brave." Two days after arriving in Kukong Holger was admitted to the Mission hospital with malaria along with Norman Halladay, Frank Penny, Arthur Goring, and Fred Quixall. 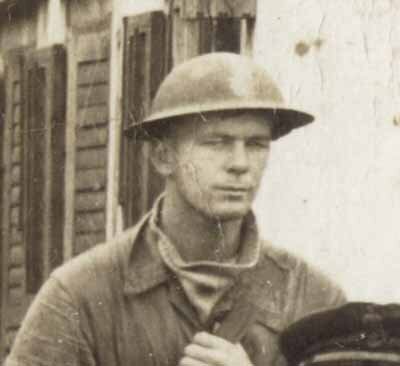 A part time trainee nurse knew Christensen's chum Sub-Lt Legge's mother Alice (Dotsy) in Shanghai and agreed to write to her, in Chinese for added security, informing her that both Christensen and his chum Legge were safe and due to continue westwards. Dotsy, a widower had married a Danish sea captain Jens Elster. When the escape party arrived in Kunming towards the end of January Mr Urquhart, the agent for the international traders and shipping agent Jardine Matheson & Company in their Kunming office took on Eddie Brazel and Eric Cox-Walker along with two other former employees. They were needed to staff new inland regional offices being set up due to the loss of China's southern ports. The demand for silk was at an all time high, not for the luxury hosiery market, but for air force parachutes. Adm Chan Chak: "The Danish steer man was the first one shot, then the engineer. MacDougall and others were wounded. Most of the stray bullets had hit the boat and even some had hit my helmet. Hsu was very wary about me the “One Foot Admiral of 50” swimming such a far distance. I insisted to carry my own gun and passport. Yeung could not swim and he suggested that we should go back to Hong Kong. “Going back means surrender. I would rather die!” I said. I took off my life preserver (which was the last one on board) and gave it to Yeung. As I raised my hand, a stray bullet went right through my left hand. Yeung didn’t say anything anymore, he just jumped into the sea, followed by MacDougall with his wounded back. YeeSiu-Kee and 2 other British soldiers had to remain on the boat. Yee could not swim and the 2 soldiers were badly wounded. We were all sitting ducks in the water and non-stop bullets were flying everywhere. Along with S.K. were two severely wounded volunteer crew left in the boat, the tall forty seven year old Jutlander, Alec (Alexis) Damsgaard, late Master of the C.S. Store Nordiske, & Sub-Lt J. J. Forster HKRNVR from Northern Ireland. After drifting all night S.K. bribed a junk man to take the two wounded to a hospital. S.K. Yee: "I put the two others on a junk, asking the fishermen to take them to a hospital on the mainland in Kwangtung Province. Of the sixteen who set out on "HMS Cornflower's" launch, two were killed, one taken prisoner, another made good his own escape while the remaining twelve made it to the MTB's. S.K, wearing Hsu Heng (Henry)'s shoes and clutching his bible, sought refuge with the Reverend Cheng in the Harbour Mission Church on Ap Lei Pai opposite Aberdeen. He eventually made his way to Kukong in free China where Chan Chak was still recovering. SK arrived on 5th February 1942 still wearing Hsu Heng (Henry)'s shoes, only to leave two days later as mysteriously as he had arrived after falling out with Chan over the allegedly missing $40.000 (£2,500 GBP) They remained bitter opponents for the rest of Chan's life. 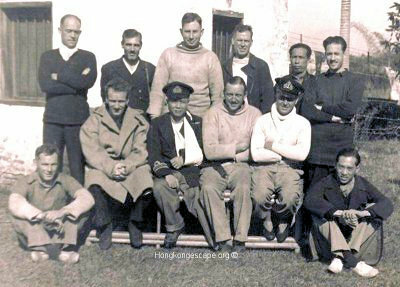 1st row: Cadet Holger Christensen, Lt-Cmd Hsu Heng (Henry) ROC. 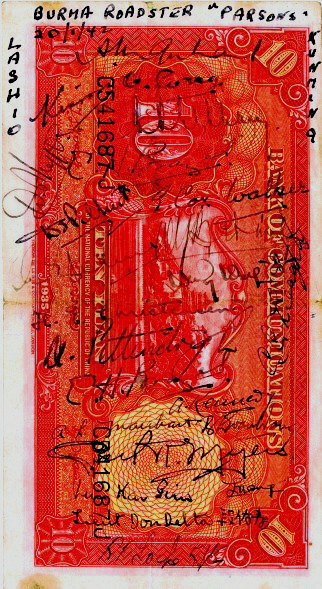 Banknotes signed as souvenirs by escape party members in Liuchow on 20th January 1942 while waiting for a train. 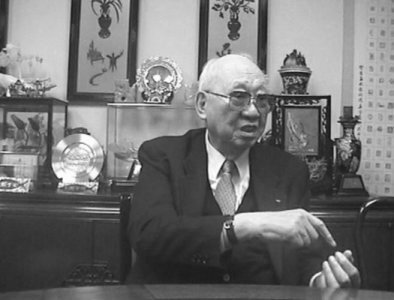 Left: Hsu Heng (Henry) in 2006 recounting the 1941 Christmas Day machine-gunning of the Cornflower launch in 1941. "The shooting was like rain. If they kept shooting, we would definitely be shot"
Heny was the last known living escapee and was accorded a full state funeral in Taiwan when he passed away in 2009. 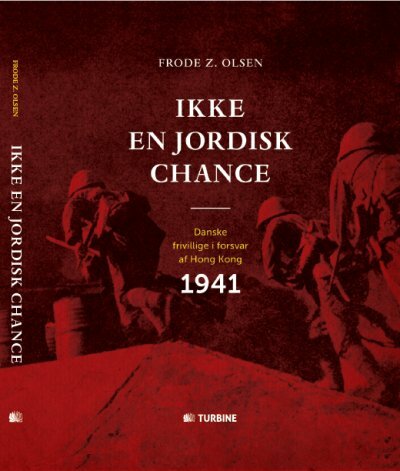 The story of the Danish community fighting alongside the British in Hong Kong in December 1941.